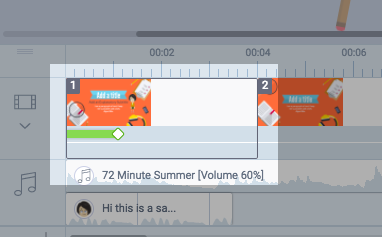 How do I add a scene transition? 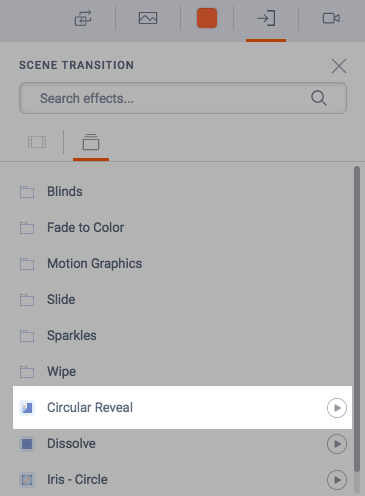 1) Select a scene in the timeline. 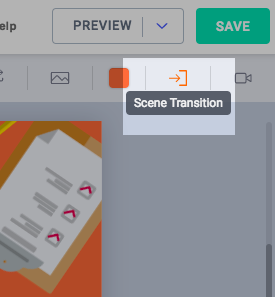 2) Click the Scene Transition icon in the toolbar. 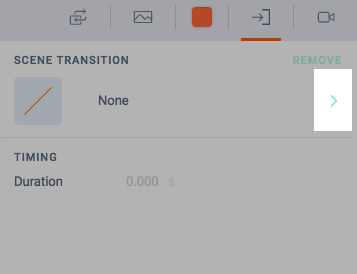 3) Click the arrow to view all transition options. 4) Select a transition from the list. 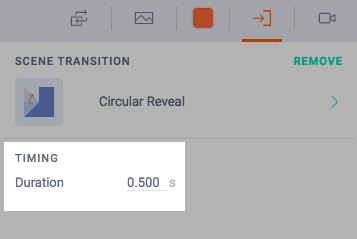 5) Change the duration and then click the Scene Transition icon to confirm the change.